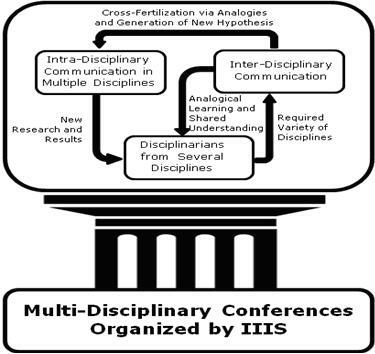 The multi-disciplinary conferences organized by the IIIS include intra-disciplinary presentations in different disciplines and inter-disciplinary communication via formal presentations, informal conversational sessions, and hybrid ones. Frequently, the IIIS allows authors of disciplinary presentations to make additional presentation, with no additional cost, in order to foster inter-disciplinary communication which might generate the fertile analogies, working hypothesis, and inter-disciplinary research and real life problem solving. More on the meaning and importance of “interdisciplinary communication” can be found at www.iiis.org/Nagib-Callaos/Interdisciplinary-communication. The IIIS is also trying to foster conference presentations in 1) Inter-disciplinary Research, Education, and problem solving, 2) in Academic Activities Integration, and 3) in inter-, cross-, and trans-disciplinary areas like Case Studies and Methodologies, Design, Modeling, Simulation, Systemics, Cybernetics, Informatics, Expansion of Science, Knowledge Generation, Communication, and Management, etc. Currently three complementary events, related to interdisciplinary communication and knowledge integration are part of what is common to the three conferences being yearly organized by the IIIS. Figure 2 schematize the three events and the relationships among them. Information related to the following issues is provided at www.iiis.org/recentconferences.asp for conferences organized since 2011. 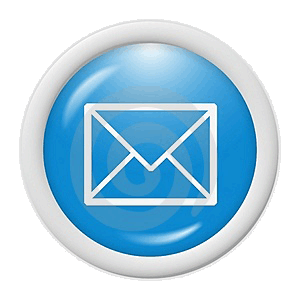 Videos of the plenary keynote addresses and workshops. Similar changes will be done to the Hispano-American Journal published in Spanish and Portuguese (Revista Ibero-Americana de Sistemas, Cibernética e Informática, RISCI, www.iiisci.org/Journal/riSCI/) in order to also make it autonomous from IIIS. To provide IIIS’ members with the required support from Web 2:0 technologies in order to accelerate the process of a Virtual Community interested in meeting IIIS’ main purpose and the shared objectives of IIIS’ members. First small steps has been given inserting, into WordPress blogs, plenary keynote videos and papers presented at the conference and published in the respective proceedings. Though the access and the possibility of commenting the presentations and the papers in the context of these blogs are open to the general public, it might help the formation of virtual community among the participants in the respective conference. To start the second phase of the journals being published by the IIIS in order to make the autonomous from the financial and the content support IIIS has been providing since they were started it in 2003. To provide the IIIS’ members access to the virtual sessions of the conference being held. Currently, each virtual face-to-face session has a corresponding virtual session in which conference participants can access any virtual session, 5 days before the face-to-face conference, and up to 2 months after the conference is over. Having this access they may read the papers presented at each session and can comment and/or evaluate each paper of the respective session via electronic forums. To promote the self-transcendence* of the IIIS into an International, Interdisciplinary, and integrative Network (IIIN); which will be formed by geographical or disciplinary, cross-disciplinary, or interdisciplinary nodes. Geographical nodes might be formed at the regional, national, or local level. Inter-National nodes would be formed by scholars and/or professionals with common interest in 1) disciplinary fileds but oriented for inter-disciplinary communication, 2) multi-disciplinary projects, or 3) cross-, inter-, or transdisiplinary concepts, theories, or methodologies. The IIIGs mentioned above are candidates for this kind of nodes. The IIIS plan is to serve as incubator of 1) these nodes and 2) the required relationships among them in order to transform them into a Network, in which IIIS will be included as one of the node while preparing its self-transcendence. * The word transcendence is used in its etymological meaning of “self-pass its own limits, to go beyond itself.” In this sense the IIIS is planning to contribute to the formation of something greater than itself before the potential stopping its existence.